The Fort Mill Care Center participates in The Emergency Food Assistance Program (TEFAP) and uses their income eligibility guidelines. The following chart shows the maximum income that a household can have (based on the number of people in the household) to be eligible for assistance. Social Security Cards for each member in household. Proof of Address for everyone over 18 in the home. 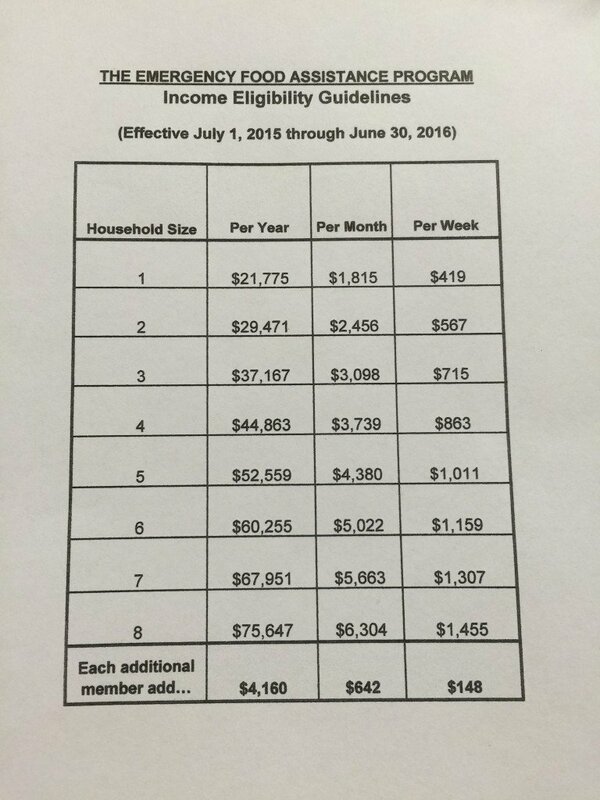 Proof of Income for everyone over 18 in the home.